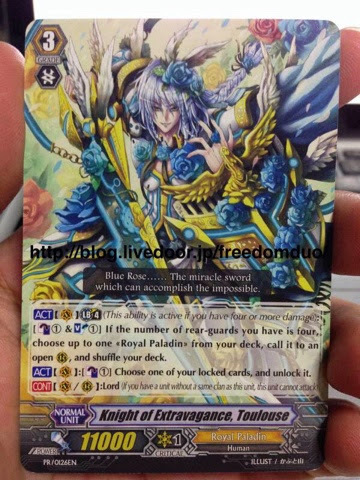 The fighter's climax promo is a g3 searcher for royal paladin, the only one(sorry rp fans). 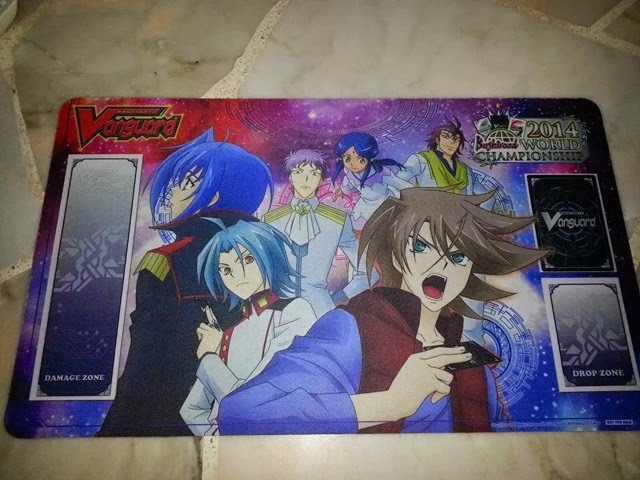 The deckcase features the new main character for the Vanguard anime in Season 5. The English world championship was happening at the same time as wgp, and all players who signed up received a promo and a special rubber playmat. 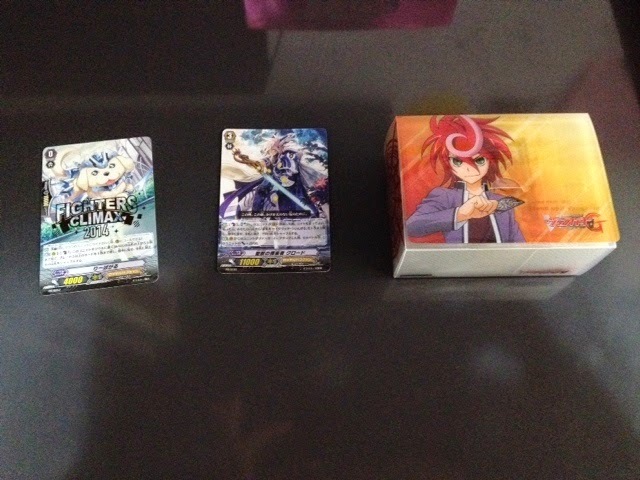 Several card shops came down to set up booths selling limited edition stuff. These were Gameplus, Rowell, Excel CS, and Thousand Taste Trading. 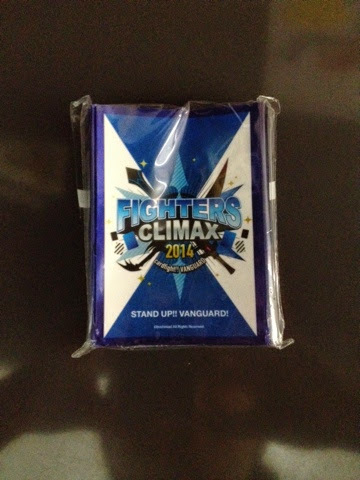 They sold the fighter's climax 2014 sleeve, as well as the Bermuda Summer collection pack. If you spent $30 or more at any one of these shops, you would receive a ticket for an autograph session with the artist of Cutlus Witch, Rias(forgot her name, sorry ><). She also designed several other cards, and you could ask her to sign one of your cards. If you don't have anything designed by her, she'll write on a postcard for you. After each fight, you and your opponent(both must have a scoresheet) have to go to the judges to get an authentication signature. After 2 fights, you'll get the Shadow Paladin promo. 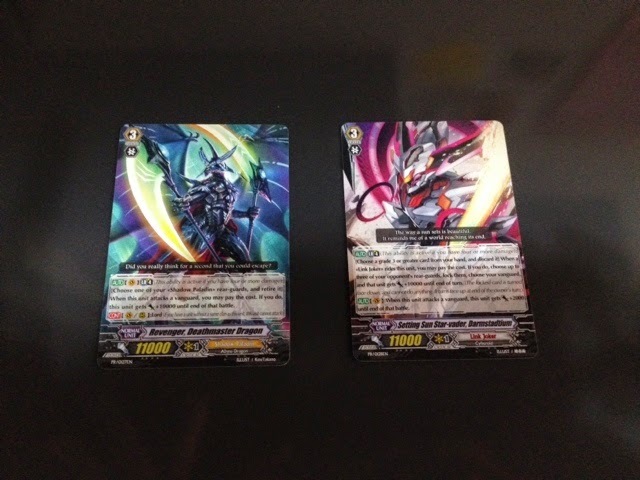 After 4 fights, you'll get the Link Joker promo. They let you play free fight more than once, so you can actually get mor promos if you can find enough opponents.